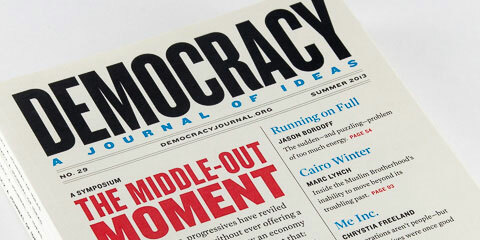 One year before the 2012 election, democracy was playing defense. Our nation was founded on an essential premise of political equality, the ideal that “all men are created equal.” In fits and starts over two centuries, we widened the circle of participation. The right to vote became over time the fundamental embodiment of the American idea. But suddenly, in state capitals across the country, Republican lawmakers had moved abruptly to curb voting rights. In all, 19 states enacted 25 new statutes to cut back on the franchise, the first major rollback since the Jim Crow era. Measures ranged from harsh new voter-ID requirements (in Pennsylvania, Wisconsin, and elsewhere), to an end to same-day registration (in Maine), to strict limits on early voting (in Florida and Ohio), to barriers that made it nearly impossible for outside groups to register citizens (in Florida). The Brennan Center for Justice calculated the new laws would make it far harder for at least five million citizens to vote. No unexpected crisis impelled this wave of action—only a shift to Republican Party control in statehouses. The new laws bore an unmistakable partisan tint. Pennsylvania GOP leader Mike Turzai seemed tipsy on truth serum when he bragged that his new voter-ID law “is gonna allow Governor Romney to win the state of Pennsylvania.” They also bore an unmistakable racial tint. Of the ten states with the highest black turnout in 2008, the legislatures of eight passed measures making it harder to vote—laws that hit hardest minority, student, poor, and elderly citizens. Then something remarkable happened. Citizens fought back. A high-octane communications effort by voting-rights groups brought the issue to the center of political debate. The Justice Department lived up to its responsibility, too, and blocked many laws using the Voting Rights Act. Lawyers for democracy forces fanned out to courtrooms across the country. Judges, regardless of party, acted as a counterweight to partisan manipulation. This time, these flaws did not prove dispositive: The election was not close. But if Florida 2000 was an electoral wreck, America 2012 was a terrifying near-miss. On election night, President Obama waxed eloquent describing people who waited hours to vote, then blurted out, “By the way, we need to fix that.” Mr. President, to invoke a familiar phrase, “Yes, we can.” But how? Just possibly, the voting brawl will launch a new era in the fight to strengthen American democracy. Many voters were furious. African-American turnout increased, partly in reaction to attempted disenfranchisement. But defensive victories, no matter how vital, are not enough. As Winston Churchill said, “Wars are not won by evacuations.” Progressives must embrace ambition and innovation—the next generation of reforms can’t just rehash old victories or fend off assaults from the other side. We must put forward an agenda that addresses public concern for election integrity without disenfranchising voters. And we must be far more strategically ambitious about building a politically potent movement for change. That starts with an insistence that policy elites and political allies again put democracy reform at the center of their concerns. As we move to seek reforms, we would do well to draw some basic lessons from the fights of the past two years. Problems are fundamental; reforms must be fundamental. Many culprits produced long lines on Election Day. Certainly, national standards to assure adequate early voting periods would help. So would rules to make sure there are enough voting machines per precinct. But new technologies offer the possibility to leap forward—to shift the paradigm of how we run elections. Reimagining voter registration is the key. Today’s system of individualized, self-initiated voter registration was first created a century ago in an explicit effort to keep former slaves and new European immigrants from voting. It has barely been updated since. It relies on paper records, administered by thousands of local jurisdictions. The Pew Center on the States reports millions of names of dead people or duplicates clog the records, while tens of millions of eligible citizens are missing. Tinkering alone will not fix voter registration. The courts still matter, enormously. In 2012, judges strikingly stood up for core democratic values. This was true of judges chosen by Republicans as well as by Democrats. The Pennsylvania Supreme Court, for example, was split evenly between the two parties—but the judges were unanimous in blocking the law requiring an ID that 758,000 Pennsylvania voters did not have. Now that so many state capitals are gripped by one-party rule, judges will be obliged to play the check-and-balance role once reserved for the loyal opposition. Conservatives took note. Stymied in 2012, they asked what is arguably the country’s most ideologically polarized bench, the U.S. Supreme Court, to defang the lower courts. In two key cases to be decided in the current term, states are urging the Court to curb Congress’s power to protect voting rights in the states (and thus judges’ power to enforce the law). The Voting Rights Act (VRA), the nation’s most successful civil-rights statute, is at risk in Shelby County v. Holder—despite its overwhelming bipartisan congressional reauthorization in 2006. Opponents argue that Section 5 of the VRA, which requires states with a history of discrimination to receive approval from the Justice Department before implementing voting laws that hurt minority rights, is an “Eyes on the Prize”-era relic. That argument would be easier to make if Southern states did not keep passing laws to make it harder for black people to vote. Just as worrisome, Arizona and six other Tea Party-influenced states urged the Court to revoke Congress’s power to assure strong voter-registration rules in states. Many observers were surprised, and not pleasantly, when the justices agreed to hear this case. A Citizens United-style overreach would devastate election law. So pro-democracy forces will need to advance powerful jurisprudential arguments. We cannot find ourselves in the position we were in after Citizens United—surprised by the Court’s radicalism and flummoxed by the strategically deft campaign to undo longstanding laws. Several state laws (including Pennsylvania’s) were only postponed, not blocked permanently; litigation continues. [See also “A Temporary Victory.”] Today the VRA and other statutes stand strong to protect the public. Unless our lawyers are as good as theirs, that could change, and fast. Winning in the court of public opinion. The fight over voting unfolds on surprisingly difficult terrain. The public sees voting as a privilege, rather than a right. It fears fraud. Voter-ID laws are broadly popular, even among those (such as racial minorities) who would suffer most. But research by pollster Celinda Lake drew a powerful conclusion: Despite public skepticism about voting rights, it is still possible to tap a deep well of patriotism to garner support for them. The American creed of political equality still holds totemic power. Progressives must have an election-integrity agenda. Progressives will need to do much better, too, at making clear our commitment to election integrity. Of course, the “voter fraud” claimed by Heritage Foundation fellows and Wall Street Journal editorialists does not exist. A person is more likely to be killed by lightning than to commit in-person voter fraud—the only kind of fraud blocked by a voter-ID requirement. The entire conservative push is premised on an easily discredited urban myth. Snopes.com could solve the problem. But progressives look Pollyannaish if we belittle concerns about election integrity. After all, politicians have been trying to stuff the ballot box since senators wore togas. It was progressive reformers who fought for decades to improve the honesty and integrity of elections. In fact, experts confirm two areas of genuine risk. Both involve election manipulation by politicians. Electronic voting machines, after all, could be hacked. The remedy—paper records, an “audit trail” to frustrate fraud—has now been adopted by nearly every state. This anti-fraud victory should be embraced by voting activists. The other real fraud risk comes from absentee balloting. (Most “fraud” examples actually describe abuse of absentee ballots, as when a nursing-home worker fills out all the forms for infirm residents.) Of course, requiring voter ID does little to prevent this abuse. Rather, expanded early voting offers an alternative to absentee ballots. I believe progressives must take one more step. We should unambiguously embrace an election-integrity agenda that protects against genuine risks without disenfranchising legitimate voters. The Republican demand for voter-ID laws is not the problem per se. The problem comes from laws requiring ID that many people do not have. About 11 percent of voters lack a driver’s license or another current government photo ID. Rhode Island, in contrast to the stricter ID laws conservatives favor, passed a law that accepts nongovernmental ID such as insurance cards, credit or debit cards, even health-club cards. This approach has caused little disenfranchisement or fraud. Nevada Secretary of State Ross Miller, a Democrat, has an even more exciting idea. He suggests that driver’s license photos be included in polling place signature books. If voters don’t have the ID, a photo would be snapped, which would serve as their ID going forward. Details of such a plan would matter greatly. But done right, that too could point to an end to the divisive voter-ID battles of recent years. Acclimating ourselves to the need for some form of ID will be hard for voting-rights advocates. In the heat of battle, it can be difficult to bend. But most citizens see voter ID as simple common sense. Only if we show them we share that understanding will they listen to our arguments that some forms of ID would lock millions out of the ballot box. Tellingly, voting-rights advocates won a significant victory in Minnesota, where voters rejected a proposed constitutional amendment establishing a restrictive ID regime. The most effective ad showed a former Republican governor and the current Democratic incumbent implying that some form of ID might be appropriate, but that this particular proposal needed to be sent back to the legislature. A plausible election-integrity agenda will give legislative allies firm ground on which to stand. They can insist that only eligible citizens can vote—but every eligible citizen must be able to vote. In all, the exhilarating victories of 2012 offer ample lessons on how to win. But we have seen moments of possible reform arrive and dissipate before. The potential of this moment will vanish too unless democracy advocates become far more relentless in demanding action. Democracy reform must become a central political strategy. Conservatives understand this. As soon as they got so much as a pinkie on a lever of power, they used it to cut back on democratic rights. (In the state legislatures, they curbed collective bargaining as well as voting. In the Supreme Court, they quickly undid decades of doctrine through Citizens United.) The right understands these issues actually address power, not process. By contrast, when the Democrats had the White House, 60 votes in the Senate, and an iron grip on the House of Representatives, they did nothing to advance democracy. In fact, Barack Obama—former Project Vote organizer and constitutional law scholar—has done less to advance political reform than any Democratic President since the 1940s. Perhaps that will change. But the first step must come from outside pressure. Here, there is hope. For the first time in memory, major progressive organizations have decided that democracy reform must become a central strategic objective. Major environmental groups (led by the Sierra Club and Greenpeace), unions (led by the AFL-CIO and SEIU), and traditional civil-rights groups (led by the NAACP) have organized a new and rambunctious “Democracy Initiative.” These groups, boasting millions of members, have come to recognize that they have little chance to achieve their objectives unless the political system changes. They are now fighting for voter-registration modernization, for small-donor public financing of campaigns, and for filibuster reform. Here is one response to Citizens United that needs no constitutional amendment or change in Court personnel. If conservatives want to flood the system with money, we need to flood the system with voters. If this initiative takes hold, it could mark a major turning point. We need nothing less than an eruption of creative policy, a groundswell of innovative advocacy, and an unflinching insistence that democracy reform again be at the heart of the progressive agenda. Nobody ever marched for election administration. But millions have marched for democracy. Thanks to the voting wars of 2012, they may be ready to do so again. Michael Waldman is president of the Brennan Center for Justice at NYU School of Law. A former chief White House speechwriter for Bill Clinton, he is the author, most recently, of A Return to Common Sense: Seven Bold Ways to Revitalize Democracy.